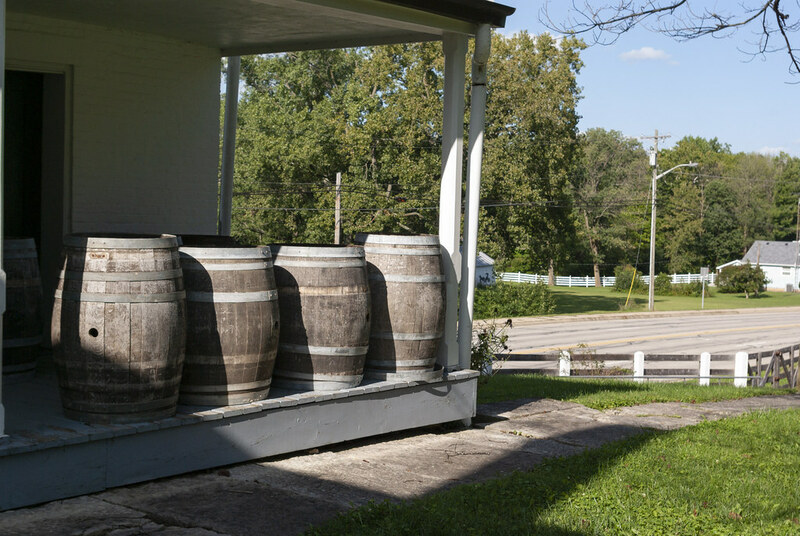 All this week we’ll tour the Huddleston Farmhouse property on the National Road just west of Cambridge City, Indiana. John Huddleston built it in 1841 for his wife Sarah and their eleven children. Not only did they live in this house and work the surrounding farm, but they opened first-floor rooms to travelers. The Huddleston Farmhouse was an early inn. Tomorrow we’ll look at the buildings on the property. Thursday we’ll tour the first floor, which is decorated much as one would have found it in the 1840s. Wednesday and Friday I’ll share photos of some of the more charming details inside. Looking forward to more this week. Brace for impact, it’ll be a lot! There’s lots to see! Thanks for riding along.